In 1896, Wilbur Olin Atwater, class of 1865, led Wesleyan students into his “chamber” in the basement of Judd Hall, where they would sometimes stay for days at a time. They were asked to perform a variety of tasks, typically physical, and were hooked up to a futuristic machine called a respiration calorimeter. Five hundred experiments later, the calorie as we know it was born. Does this story sound completely unfamiliar? If it does, you aren’t alone. Prospective student tours of Wesleyan, in retrospect, are bizarre things. The University is charming, if a bit heavy-handed, in its attempt to cultivate its desired brand of quirky progressivism with a rich history. Like many other schools, they do so by bombarding the 17-year-olds—who, on some tours, are separated from their parents in another performative iteration of “Wes does things different”—with information, knowing that few specifics will be absorbed but hoping that the aggregation of details will create an enduring perception of the University. There’s no better example of these lost-in-space tour tales than Wesleyan’s quantification of the calorie. I vividly remember my first stroll down College Row, captained by the unforgettable Fred “Frizzly” Ayres ’17. As we sauntered past Judd, Ayres launched into a story mentioning the calorie, stationary bikes, and a crowd-pandering rib about how college students will do anything for beer. But as a high school senior visiting Wesleyan in the immediate wake of the MDMA tragedy, I was too morbidly fixated on locating Eclectic and missed most of what I’m sure was a rousing recount of Atwater’s crowning scientific achievement. Unsurprisingly, most current students with whom I talked didn’t remember this part of their tour at all, and the ones who did had far from an encyclopedic knowledge of the calorie experiments. That Thaler’s hazy recall was above average among the students to whom I spoke is emblematic of how quietly this significant scientific success has been lost to time. At least in the Wesleyan community, Atwater’s achievement has been reduced to a promotional talking point. But what exactly happened in 1896 in the Judd basement? 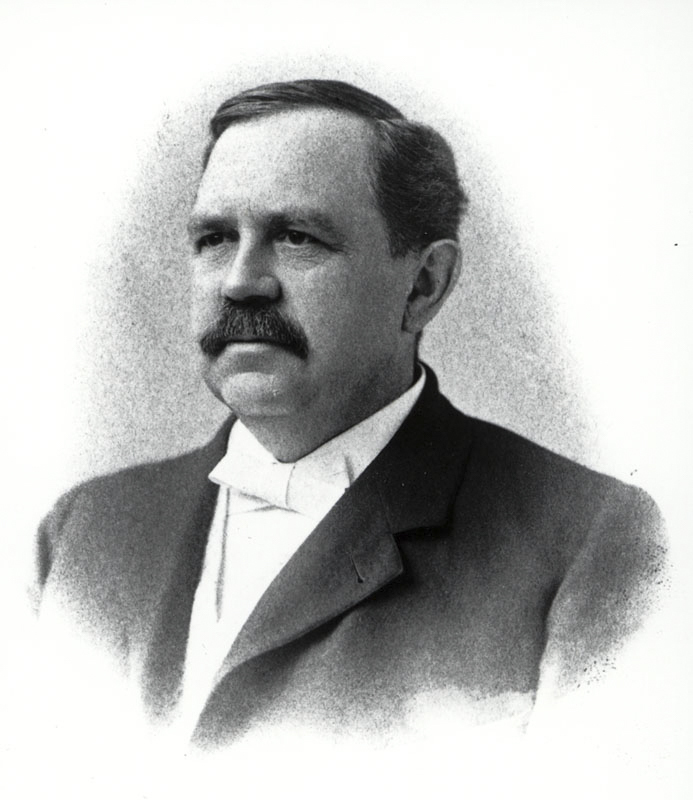 Atwater, at age 52, had earned a long leash with the University. Aside from his stardom in the field of human nutritional science, Atwater also had substantial institutional bargaining power due to his 33-year tenure and status as the University’s first-ever professor of Chemistry. He used his influence to procure over $10,000 (an inflation-adjusted $300,000) per year for his ambitious respiration calorimeter experiments. Most of this funding went towards the elaborate apparatus of the calorimeter itself, but a few “lucky students” were paid to eat and sweat for an indefinite amount of time. The Atwater experiments, though wacky in concept, were scientifically ahead of their time. Atwater had an advanced understanding of the relation among food, exercise, and energy. The calorimeter essentially allowed him to measure the amount of heat being released by his subjects at any given time. He knew that someone who was performing a discrete, quantifiable physical task (where the stationary bikes came in) performed by someone who had recently consumed a discrete, quantifiable amount of nutrients or other dietary elements (where the beer and Snickers came in) would have an excess of energy that he could gauge and quantify. This excess of energy was measured by heat readings from the calorimeter, which Atwater standardized into a single unit. Thus, the calorie was born. Now armed with an objective energy metric, the professor set out to learn more about the true nutritional benefits of various foods and drinks. What he discovered made some waves. In “The Chemical Composition of American Food Materials,” he challenged the ubiquity of fat and carbohydrates in American diets and presented data that cast alcohol as having significant dietary value. For all Americans but especially the pre-prohibition temperance movement—to which Atwater himself belonged—these findings were not widely smiled upon. However, the court of public opinion shifted and Atwater was eventually vindicated by history. His findings have been put to use widely; “The Chemical Composition of American Food Materials” formed the basis of the USDA Agriculture Handbook, and the Atwater system is still the preeminent convention for energy quantification. Of course, his most enduring legacy is the calorie itself. Judd’s hidden history (it’s also the oldest undergraduate research building in the country) will probably continue to be relegated to fun-fact status. And that’s probably okay. But over 100 years later, against all odds, those chamber-dwelling semi-sauced student cyclists are still informing dietary habits worldwide. Sam Prescott can reached at sprescott01@wesleyan.edu.